I could find plain black trainers for men, but the ones for women has colours on them. I would have preferred plain black but the men's shoes don't go small enough to fit. I did buy some women's trainers with purple on them. Two days later, the inside sole beneath each heel had completely collapsed. The shoes are now unwearable. 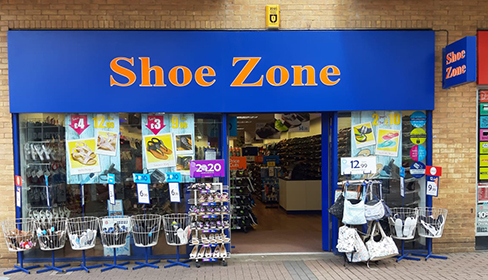 Stock was limited on size 12 leather shoes, but staff were very helpful and looked at all the stock in store, both on the shelf and via the computer terminal on cash desk. Eventually we found a pair of shoes that were suitable.